On Sunday March 5th there will be an “Empty Stroller Walk” down Main Street wherever you live. This Walk is the idea of grieving GRANDMOTHER Sherry Frady who lost her grand daughter (Bella, pictured on top, second from left) to vaccination. Sherry tells Bella’s story on “The Mary and Sallie Show” http://tobtr.com/s/9821165. The VIDEO above has photos of some of the children whose parents I have interviewed. Thanks to Joe Jones for the Artwork and to Otto Lund for putting it to the music recommended by Dusty, baby Reid’s father. All are encouraged to PARTICIPATE in the “Empty Stroller Walk”, and to EDUCATE people as they do. Please distribute flyers, the text of which can be printed in its entirety on one page in 9 pt. type: https://www.facebook.com/notes/sallie-o-elkordy-for-mayor-vaccine-free-nyc/vaccine-free-2017-legislation-or-eo/1637470476269264. You are welcome to take the pictures in the comments directly under the text on this link and pin one of them to the back of the stroller. Use the seat for the handouts you will be printing. If you wish a banner like the one of Sherry’s grand daughter (above, but with a photo of your own child) please contact artist Joe Jones here https://www.facebook.com/airmailgreetings/. The hashtag, #VaccineVictimsMemorial is for actual legislation which Congress has been petitioned to sponsor, this one for a Memorial to be placed on The Mall in Washington, DC honoring the Dead and Injured from Vaccination (http://www.change.org/petitions/the-us-house-of-representatives-vaccine-victims-memorial-on-the-national-mall-in-washington-dc & https://www.facebook.com/VaccineVictimsMemorial/). Unlike other Memorials on The Mall, all the names of the fallen will not fit on one Monument, but this should not preclude it’s inclusion and erection among the other memorials to casualties whose lives have also been lost by Congressional edict. IN NOT BANNING VACCINES, as Congress has been petitioned to enact (starting back in 2009 and continuously every since, most recently http://tinyurl.com/VaccineFree2015), and in LIFTING THE LIABILITY (1986) for those who produce and inject vaccines, Congress has enabled our children’s ghastly fates and the Supreme Court has upheld the legality of it (2011)… while the families continue to suffer as their children continue to die. For ADULTS who think that because they do not have children (or their children are grown) that this doesn’t pertain to them, here is the rudest “wake up” imaginable…and merely one startling example of how adult vaccination will play out: http://vaccineimpact.com/2017/cdc-publishes-new-rules-for-quarantine-and-isolation-on-last-day-of-obama-presidency/ and investigate your State’s proposed legislation while you’re at it: http://vaccineimpact.com/2017/30-states-move-to-enact-vaccine-bills-including-tracking-and-mandatory-vaccines/ ~ If we will protect the ones who cannot speak for themselves from vaccination, then we will all be protected. Raise awareness with us on March 5th, by hitting MAIN STREET wherever you live with Empty Strollers, Banners and Literature. Thank you. 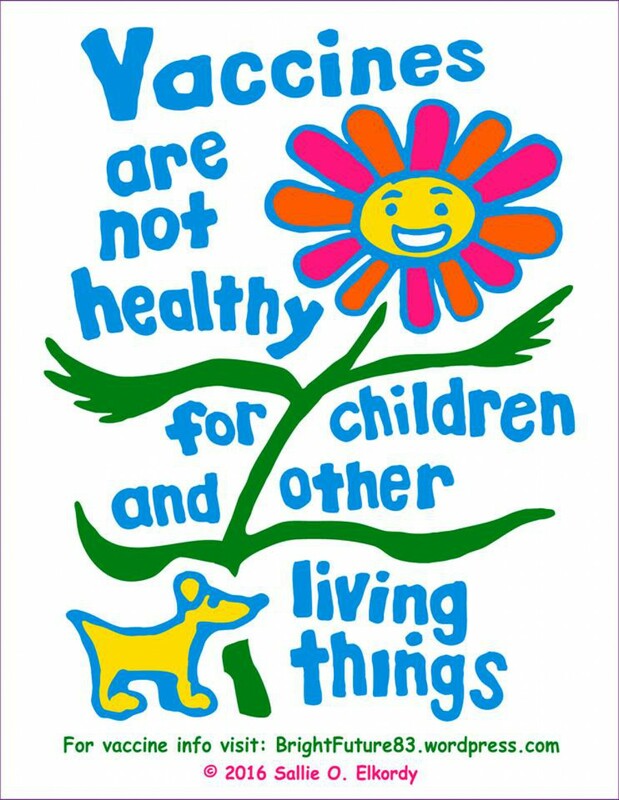 ~ Dr. Scheibner says, “One in Ten Infants is Dying in the USA!” http://tobtr.com/s/8791545 and the reasons why the NVAC should recommend a National Moratorium on Vaccination to the Department of Health and Human Services in Washington, DC on 6/7/16 https://www.youtube.com/watch?v=FGyz177n9Uo. Mother Hope Doucet of Preemie who Died Post Vaccination http://tobtr.com/s/9832557 (interview starts 11 minutes into program due to interruptions). Previous Previous post: Trump says, “Too Many Too Soon” regarding Vaccines. He says, “Vaccines Cause Autism”. He is the FIRST President to speak these DANGEROUS Truths. Support him or prepare to be vaccinated! Next Next post: “Empty Stroller Walk” ~ Every Sunday until they STOP Shooting Our Kids!